New York – Who Is My Employee? Normally, independent contractors are not subject to minimum wage requirements, since those laws (such as the Fair Labor Standards Act) apply only to employees. Lots of litigation focuses on whether contractor drivers should, in fact, be classified as employees and therefore subject to minimum wage and overtime rules, but if the drivers are properly classified as independent contractors, minimum wage requirements typically do not apply. But under a new rule in New York City, ride share drivers are now entitled to a minimum wage in excess of $15 per hour, despite being independent contractors. I will admit, without shame, that in the 1980s, I loved the Gap Band. Songs like “You Dropped a Bomb on Me” and “Burn Rubber on Me” were just plain fun to listen to. Tip: Try it! The band’s name didn’t refer to any actual gap — the name comes from the first letters of streets in Tulsa, Oklahoma — but I do know there are many gaps in anti-discrimination law, leaving some types of workers without adequate protection. The federal laws that prohibit discrimination in employment, like many (but not all) state laws, protect only employees. That leaves a gap. Independent contractors and interns who have been discriminated against may have no recourse. The New York City Council is trying to close that gap. In the same bill we excoriated on Monday for unfairly attacking the franchise model, the New York City Council also proposes to expand the protections of the City’s anti-discrimination law (section 8-107 of the Administrative Code) to protect independent contractors and interns, not just employees. Closing that gap makes sense. Hopefully this bill will be amended to keep the parts that expand anti-discrimination protection to non-employee workers (a good idea), while removing the parts that would expand liability to companies not responsible for the discrimination (a bad one). 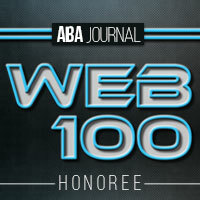 NYC to Franchisors: We’re Going “Crazy on You”! In 1976, the band Heart released the album Dreamboat Annie. 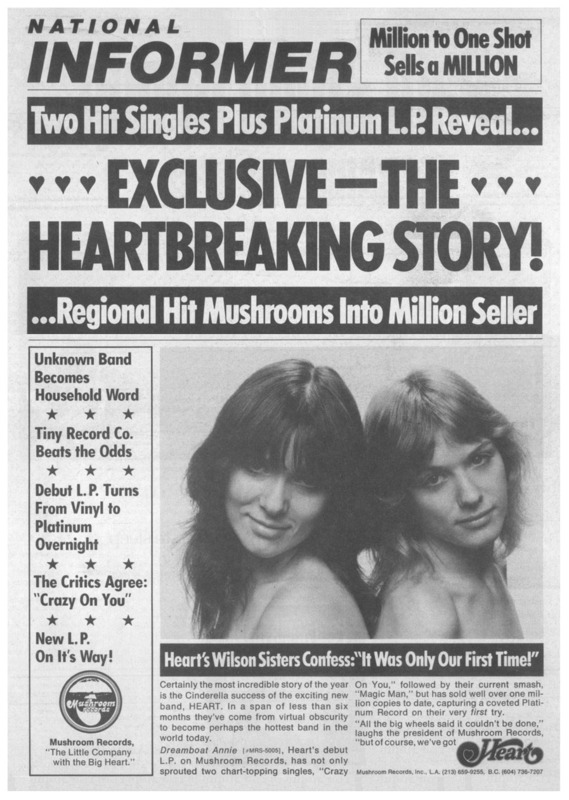 Soon after its release, the label (Mushroom Records) released a suggestive National Enquirer-style ad suggesting that sister Ann and Nancy Wilson might also be lesbian lovers. Ann’s outrage led her to write the song “Barracuda,” about ambush and false accusations. A different Heart song title came to mind as I read the latest attempt by the New York City Council to hold franchisors responsible for acts they did not commit. A bill co-sponsored by 19 council members would amend the City’s anti-discrimination law to hold franchisors strictly liable for discriminatory acts by their franchisee. We have seen many attempts to expand the definition of “joint employer” to include franchisors, but this proposal goes beyond anything we’ve seen. This bill doesn’t even deal with the concept of “joint employment.” It just says that franchisors are liable for discriminatory acts of their franchisees, without any analysis of their involvement in the discriminatory acts or their level of control over the franchisee. It’s automatic. That’s crazy. Holding one company strictly liable for the wrongful acts of another raises all sorts of legal concerns and, if passed, the bill will certainly be challenged in court. Now, truth be told, in the Heart song, going “Crazy on You” has a very different meaning than I intend it here. Ann Wilson and Roger Fisher (her bandmate, co-writer, and lover) meant it in an amorous way, but there is certainly no love between NYC and franchisors. The attacks by NYC on the franchisor-franchisee relationship are more like those of the sharp-toothed predator of the sea, the Barracuda. Domino’s Pizza in Russia recently had to cancel a promotion offering free pizza for life to anyone who got a tattoo of the Domino’s logo after too many people tatted up. The Russian franchisee that offered the promotion was overwhelmed by the response. It canceled the scheduled two-month promotion after just four days. Franchise owners have to adhere to brand standards, but they have flexibility on other things, such as how vigorously to encourage their customers to ink. It can be confusing to the public, however, which decisions are made by franchisors and which decisions are made by franchisees. Not surprisingly, this confusion extends to employment situations, where claims of joint employment are frequently asserted against franchisors, even though individual employment decisions are made by franchisees. Joint employment claims are a constant threat in the franchise space. Major restaurant and fast food franchisors are frequently alleged to be joint employers when plaintiffs bring employment lawsuits against individual franchisees. 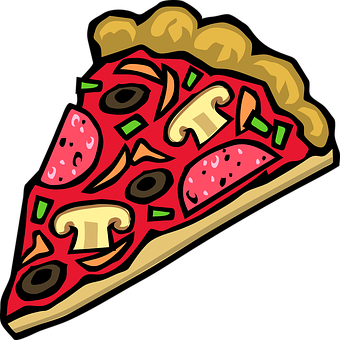 The franchisors (like Domino’s) are viewed as the deep pockets and, by targeting the franchisor’s corporate office, plaintiffs can try to build class actions that include groups of employees across multiple franchises. Or, by tagging a franchisee as a joint employer, plaintiffs can feel more confident that enough dollars will be available to pay any judgment. The court’s ruling, which granted summary judgment to Domino’s corporate entities, evaluated the plaintiffs’ joint employment claims under the Fair Labor Standards Act (FLSA) and New York Labor Law (NYLL) using a two-part Economic Realities Test. As is typical in franchisor-franchisee relationships, the franchisee (store owner) signed a franchise agreement, agreeing that it – not the franchisor – “shall be solely responsible for recruiting, hiring, training, scheduling for work, supervising and paying the persons who work in the Store and those persons shall be [franchisee’s] employees, and not [franchisor’s] agents or employees.” The agreement required the franchisee to adhere to brand standards to ensure consistency in product, but individual employment decisions were to be made at the store level, not by the franchisor. Based on this framework, the court analyzed the facts using the formal control factors and the functional control factors. whether [the] plaintiffs worked exclusively or predominantly for the alleged employers. After evaluating the facts using these factors, the court ruled that the Domino’s corporate franchisor entities were not joint employers. The franchisor entities were therefore dismissed from the lawsuit, but the court allowed the case to continue against the individual franchise owners. The decision is refreshing for franchisors, but not too refreshing. As noted here, other Courts of Appeal – mainly the Fourth Circuit – apply different tests for determining whether a company is a joint employer under the FLSA, even though the FLSA is a federal law that you would think would be interpreted the same way all across the country. The test for joint employment under the National Labor Relations Act is different too – and is likely to change again. It is possible for a company to be a joint employer under one law or test but not under other laws or tests. There is no uniformity or consistency. For now, franchisors should rejoice in this small victory, but the fight to protect franchisors against joint employment claims is far from over — unlike the Russian tattoo promotion, which is entirely kaput. News Alert: New York City Has Bad Traffic! So whose fault is that? In a gut punch to the gig economy, New York City just passed an ordinance that will place a one-year ban on granting new licenses for ride hailing vehicles. To drive using Uber or Lyft in NYC, you need a license from the Taxi and Limousine Commission (a different kind of TLC). During this one-year suspension period, the city will conduct a study on traffic and congestion and will examine driver compensation. According to this Wall Street Journal article and nifty graph, since the emergence of Uber and Lyft as ride-share options, the value of NYC taxi medallions has plummetted from about $1 million to roughly $200,000; and since 2015, the number of TLC-licensed drivers (cabs and ride-sharing services) has more than doubled. The City points to increased congestion as the reason to suspend the issuance of new TLC licenses for a year. The ride-share companies argue that the cap will limit the number of available drivers in outer boroughs, increasing New Yorkers’ wait times. Is the City’s motivation really to address traffic congestion? Or is the idea instead intended to help the struggling taxi industry? Hmmmm. Under the new law, licenses that have already been granted are not being taken away. If you retain freelancers in New York City, pay attention. The law took effect May 15, 2017, but new rules — effective July 24, 2017 — create additional burdens. The NYC Department of Consumer Affairs has published final rules implementing the Act. While the purpose of the rules is (supposedly) to clarify the Act, the Rules go much further and create new requirements — some of which may be contrary to federal law.